River Antoine uses water as its main source of energy. 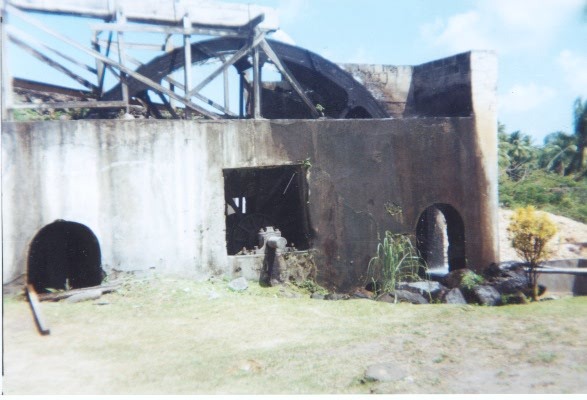 This wheel used this form of energy to drive the mill that crushes the sugar cane. 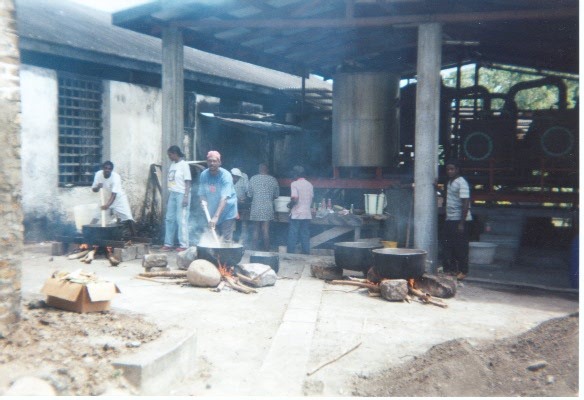 The juice from this sugar cane is later used in making the River Antoine Rum. The sugar cane juice is flowed into this building. There are two dates on this building above the door. The first date is the year this distillery was built-1785. The second date is the renovation of the building-1950. 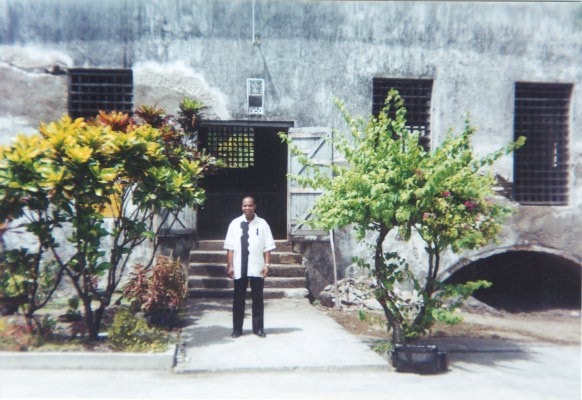 It is said to be the oldest distillery of its kind in the Caribbean. This is the condenser of the distillery. The employees were having a cook out, February 2001. 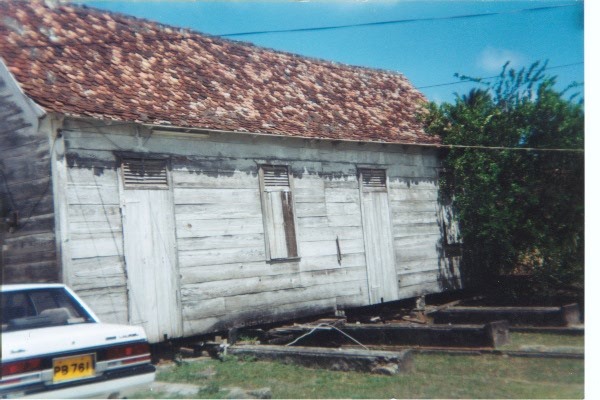 This is another historic building on River Antoine Estate. It is a wooden building that is over two hundred years old. The roof is unique. The tiles of the roof have hooks which keep them in place.